You know how much I love giving High Fives. It was the first trick I learned, and something I practice nearly every day. But did you know that High Fives can save cats lives? Jackson Galaxy teamed up with other animal behavior experts and created the Cat Pawsitive program to enrich the lives of shelter cats and enhance their adoptability. Shelter volunteers and staff members learn reward-based, positive reinforcement training to bring shy cats out of their shells, and to raise the confidence of outgoing kitties even higher. By mentally engaging cats and giving them rewards, shelter cats can better deal with stress, feisty cats learn to tone down their behavior, and bright kitties learn tricks like High Five. These interactions help shelter cats build relationships with those who work with the cats — and help these kitties present themselves well to potential adopters. Cat Pawsitive began in 2016. So far, nearly three dozen shelters of all types and sizes, from small, private shelters to open-admission municipal shelters, have been chosen to receive the tools and training needed for the Cat Pawsitive program. Lots of cats from these shelters have benefitted from the efforts of the shelter workers and the team behind Cats Pawsitive. 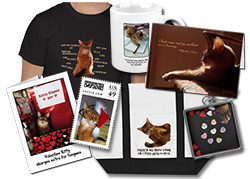 You can find out more about Cat Pawsitive here. I cannot emphasize how awesome this program is! Virtually all cats need more mental and physical stimulation than they are getting, and that goes quadruple for cats that are in shelters. I always say that cats are capable of more than people expect out of them (just look at all I can do!). And it makes me so happy to see this idea put to work where it is most important — where cats are waiting for their new families to come find them. I would love to see the principles that drive Cat Pawsitive spread to all shelters everywhere! Give a High Five and Enter the Contest for Your Shelter! And it gets even better! 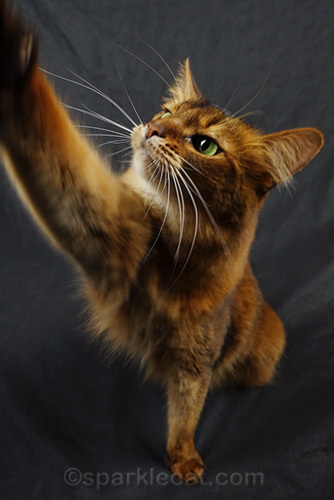 Right now, GreaterGood.org, the Petco Foundation, and HaloÂ® Pets are holding the first annual “Cat Pawsitive National High-Five Day Contest!” You can have a chance to win a $5000 cash grant and 10,000 bowls of Halo pet food for your favorite shelter, and all you have to do is be a kitty and give a High Five! To enter post your photo or video on Instagram or Facebook with the hashtag #CatPawsitive, and tag your shelter, The Jackson Galaxy Project and Halo Pets. The deadline is April 18, and the winners will be announced on April 19 — National High Five Day! You can find out more information on entering at the official website. I think that deserves a High Five, don’t you? Note: This is not a sponsored post, and I am not currently associated with The Jackson Galaxy Project or Halo Pets. This post is meant purely to spread the word about a very worthy effort. That is a great program! Some of the kitties ahead of me, could do that, and Dalton knows it too… Me: I use my fives to paw at the thigh or arm of my peeps to get their attention. Self taught mind you, MOL! Wow! This is a cool thing for shelter csts! I bet I could learn…. You give the best high fives! What a great contest and for a super cause! Hugs! You look super cute when you do High Fives! What a wonderful program to help shelter cats! This is definitely high five-worthy! That is a great programme to teach shelter cats, but you will always be the queen of the High Fives. My cats were all too mean to do high fives. Now that I know it can be done, one day I’ll help a cat learn. You got this, Summer! High five! I wonder if I could do high claws? If we could give a high five, weâ€™d give one to this great program. Summer, thanks for spreading the word. Your picture is definitely a winner! 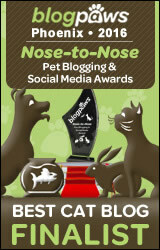 This is a pawsome program, and we sure hope you’re one of the winners! High five, Summer! That is a great program Summer! And we agree, many cats are missing stimuli and this seems to be a particular challenge for indoor cats without safe, outdoor enclosures. Our human always tries to keep Malou and Levon stimulated and challenged but there are only so many hours in a day! Cody is usually super good at giving high fives too, if he cooperates I will be blogging about it too! What a great program! The mom is starting to train Kylo Ren to do some tricks. Hopefully he will be high-fiving soon! Love that this program will be helping shelter kitties in such a fun and unique way! Oh yay! We’re so glad you posted about this! We hope you entered, too. That is great! I need to get a photo of Millie giving a high five. What a great idea! Yes, this deserves high-fives all around! Thanks for this information! Yes indeed Summer bunches of high 5’s are in order. Mum is thinking of teaching me to high five now. Just read her mind. A much-needed and worthy program! That is a wonderful program. Anything that helps the shelter cats is just the best. That really is a cool program and we’re always happy when something helps shelter critters. I think itâ€™s more important for shelter cats to have this training. After all, you kitties have a good home. 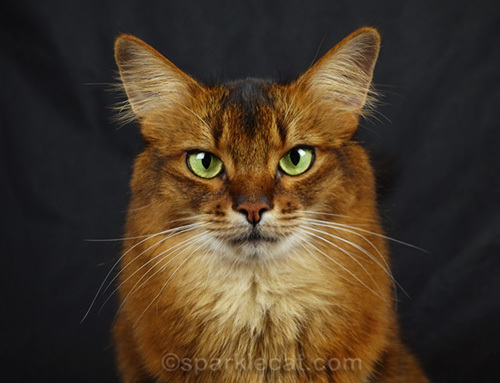 A cat at a rescue needs more tools to show herself to families who are looking to adopt. It does deserve a bunch of high fives! Too cool!